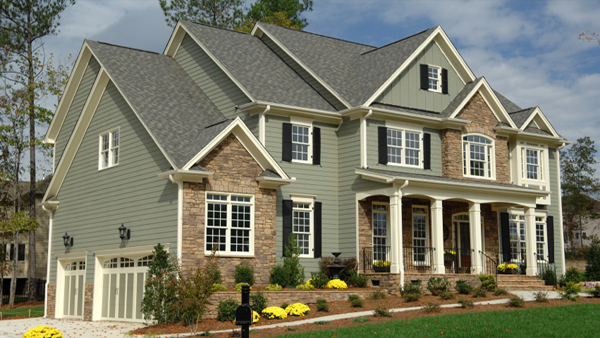 This Free Siding Calculator tool helps homeowners estimate residential siding prices. You can calculate installation prices for Vinyl, Fiber Cement, Cedar Clapboard & Shingles, & Aluminum Siding. To compute, simply plug-in your home foundation measurements, number of floors and number of windows and doors that will need to get trimmed with flat-stock aluminum coil. It is very important to understand that this tool is only as accurate as the numbers you provide it with. Therefore, accuracy of calculations will depend on how you measure and enter house dimensions and other details into the calculator. 1) Using a measuring tape (best to use 50′ or 100′ tape), measure the ground dimensions of your house. 2) If your house has a gable roof, enter the gable side as WIDTH. This is important because there is siding on the gable triangles, that our tool accounts for. For HIP roofs, this is not important. 3) Choose appropriate Roof Slope, Number of Floors, Tear Off and Insulation. Our calculator uses 9′ height of each floor for calculation (standard 8′ ceiling height). The raised ranch is calculated at 14′ height + gables. It also accounts for the bump-out in the front of the house. Note that if you have ALUMINUM or Plastic / Vinyl siding on your house now, it has to be removed. If you have wood siding, new siding can be installed over it. If you have ASBESTOS siding, it is extremely expensive to remove, so most of time, new vinyl siding is installed over it. You cannot have wood or fiber cement siding installed over asbestos shingles. 4) House difficulty: This is a very hypothetical / subjective variable, and any siding contractor will use their own metrics. However, from our experience, we figured out 3-step pricing system. If your house is a simple Ranch / Cape style, use SIMPLE. If your house has old-style bay windows, inside / outside corners, and/or different structures attached to it, it is safe to use MEDIUM difficulty setting. If you have a multi-level cut-up Victorian or contemporary house, it is best to use DIFFICULT / CUT-UP setting. Also, it is often the case that homeowners underestimate the REAL difficulty of the job, so to be on the safe side, or if you are in doubt, use the difficulty setting o1 step up from what you think it actually is. 5) Calculate number of windows or doors that you want wrapped with Flat Stock aluminum coil (copping). These wraps are time consuming and use a lot of material, so don’t expect this to be done for free. 6) Doors and bay windows use about the same about of materials and labor, so we grouped them together. 7) TO BE ADDED LATER – soffit, fascia and new seamless gutters are often installed together with siding. We will add this feature in the next update to our online siding calculator. The prices you calculate with this tool may and will vary, depending on where you live and the contractor you choose to install your siding. Since every contractor has different costs of running business, and different material purchasing prices, the results of our calculator are only an APPROXIMATE estimate, of what you can expect from an actual siding installer. 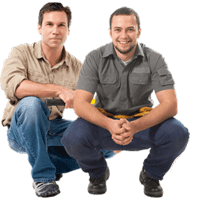 We in now way guarantee that results produced by this tool will be the same as quotes you receive from contractors. Use this tool for REFERENCE purpose only. I was wondering if you have ported this app to Android yet? I have the Roofing Pro and love it, and would love to have this one two. Also, have you thought of doing the same sort of thing that the Roofing app does with multiple roofs? i.e. having the ability to enter many different walls. It is almost ready, and we will publish it in few days. At first it will be a simple (free) version, with PRO following soon. How can I find your siding calculator app for my android phone. I do not see it on the Playstore. Siding calculator app for Android hasn’t been released yet. It’s almost ready – we are finishing testing, and will move to production soon. I just downloaded the siding calc. My new iphone will not allow it to download. Apparently the App Store requires an update on the app. Luckily I have an older iphone. The app downloaded but it crashes every time I try to add other profiles like Hardie.